The existing disposal method of fruit and vegetable wastes along with other waste has degraded the urban environment of Pakistan. 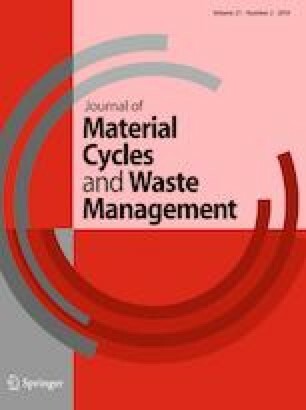 This study was carried out which analyzes the feasibility of fruit and vegetable wastes for methane generation. From vegetable markets and fruit shops, the samples of fruit and vegetable waste were collected, respectively, by standard methodology. After collection, samples were analyzed for pH, alkalinity, volatile fatty acids, lignin content and proximate as well as ultimate analysis. Methane potential of fruit and vegetable wastes was found in the range of 265–444 Nml/gVS and 248–471 Nml/gVS, respectively. Also, the effect of substrate to inoculum ratio was studied. Findings of study led to conclude that maximum methane production from fruit and vegetable wastes could be achieved using lower substrate to inoculum ratio and vice versa. Therefore, it is recommended that dumping of fruit and vegetable wastes with other waste should be banned in Pakistan. Also the government of Pakistan should take a step immediately for mechanizing a system to separate biodegradable waste at source of generation for methane production. Institute of environmental engineering and management, Mehran UET, Jamshoro is acknowledged for providing facilities for performing experimental work in its laboratories.